Behind Industry 4.0 lies even more than the mere linking of individual processes, namely the emergence of a fully networked factory - the Smart Factory. People, machines and products are connected with each other, resulting in a variety of synergies. 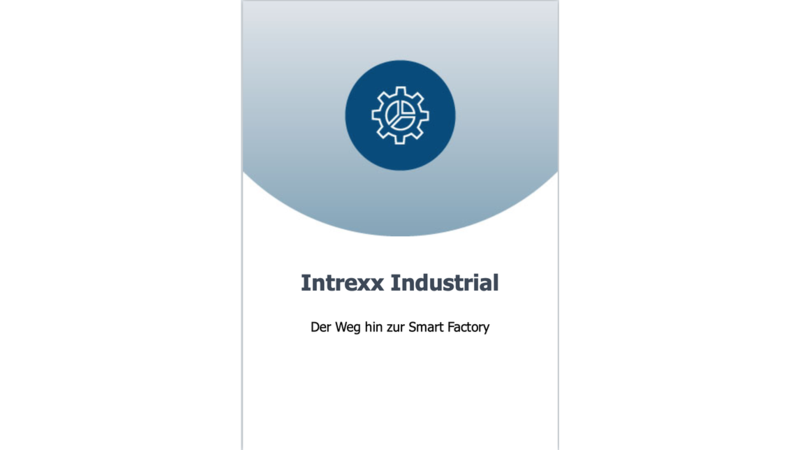 With Intrexx Industrial, you have the solution for your Industry 4.0 project at your fingertips. Whether you want to make a smart factory a reality or start with smaller use cases. Intrexx Industrial provides you with ready-to-use applications for standard applications such as: B. an automated board book or OEE analyzes. Thanks to the flexibility, you can also implement any individual requirements easily and quickly. This also allows suppliers and customers to be involved and access the same database. With Intrexx Industrial, you have the solution for your Industry 4.0 project at your fingertips. Whether you want to make a smart factory a reality or start with smaller use cases. Intrexx Industrial provides you with ready-to-use applications for standard applications that you can start with right away.